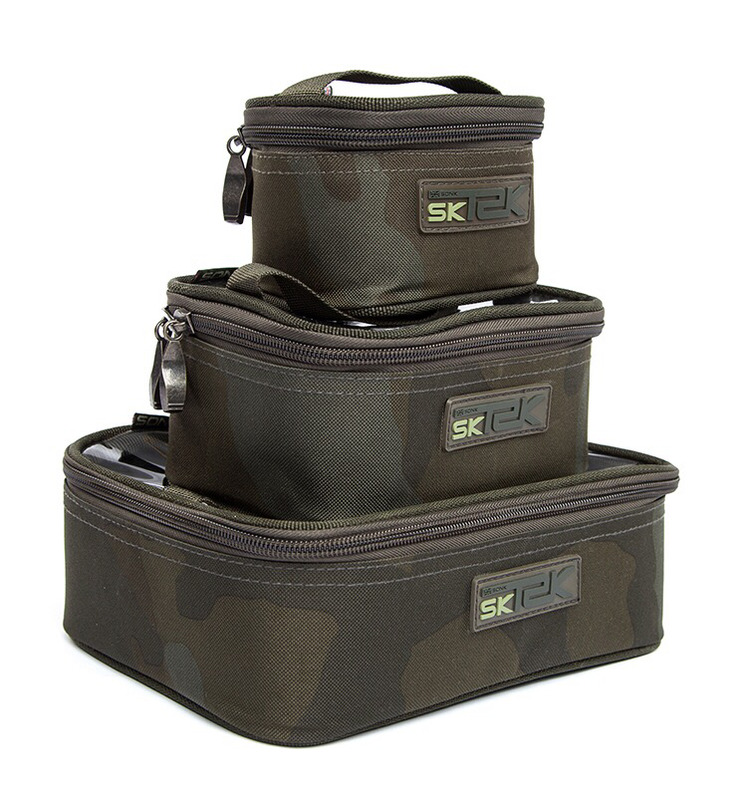 Available in 3 sizes, the SK-TEK accessory pouches have a mass of uses. The rigid design and padding offers plenty of protection and they are made with a handy transparent lid so you can see what is inside easily. They have top and side grab handles and heavy duty waterproof base material. They are all sized to fit neatly into the SK-TEK luggage as part of a modular storage system.